Since the demand of fish is increasing continuously, many farmers have started fish farming in small scale for fulfilling their daily family demands or in large scale for making more profit. Catfish is not the most popular fish in Nigeria, but this fish species is by far the most cultivated in Nigeria. One good thing about catfish is that it is one of the easiest fish species to cultivate. So, people naturally flow to the direction of fish specie they found to be the easiest to cultivate. Here let’s talk about how to start a small catfish farm. To start creating your own fishing culture, you must first learn all the knowledge about this area, you can buy some fishing books or visit the fish farms in your area, learn their methods and experiences. Now the Internet is so developed, you can also collect information on the Internet or watch the teaching video, or consult some experts in fisheries. Once you acquire enough training, proceed and start a small fish farm, preferably as a part-time project. You can do this by building a couple of fish tanks. If the project proves to be profitable, add more capital, and increase the fish production. 1. Catfish (also known as siluriformes) as well has different species, blue catfish, channel catfish, flathead catfish, heteroclarias, clarias nigro-digitatus, clarias spp and over 300 other species. Catfish is considered a bottom-feeding fish that are found in freshwater and coastal region around the world. 2. Catfish mainly lives in the middle and lower classes of rivers, lakes, reservoirs and ponds, activities in the coastal zone, during the day more hidden in the grass, rocks or deep underwater, while in night start foraging. Catfish belongs to carnivorous fish, almost prey small fish such as crucian, giurinus, pseudorasbora parva, carp, loach, shrimp, and aquatic insects. 3. Catfish mature early, usually a year of age is an adult, spawning period is generally from April to June, juvenile fish mainly feed on zooplankton, aquatic insect larvae and shrimp is its delicacy. Catfish grow fast in case lycorexia, about 500 grams of fish swallow a large number food, maximum individual is up to 40 kg or more, it is suitable for living in the water temperature of 25 ~ 20 degrees. The main purpose of analyze your market is to know where that the demand exceeds the supply, evaluate the resources at your disposal, which include time and capital. Additionally, calculate other costs that you are likely to incur, including the operating and legal costs such as licenses. Then, compare all the costs against the projected returns to determine the profitability of the project. In Nigeria, because of the relative ease of catfish farming, the readily stable markets for catfish, especially as catfish is a treasured delicacy in Nigerian cultures, catfish farming has built a huge followers-base. The market price of African catfish is usually gauged per kg-weight of fish. This price is different in Nigerian different areas. On the average catfish can be sold for N500/kg in Lagos, N650/kg in Makurdi and 750/kg in Abuja. The market for catfish however is not lacking, regardless of geographical location, difference hardly occur in catfish price: which is dependent on the dynamics of demand and supply. In 2013,the federal government of Nigeria implemented and enforced a law banning the importation of frozen fish, this move was made to encourage the local production of fish. The population of Nigeria is about 150million and this population is estimated to overtake that of the United states by year 2050, because of its unique taste and high nutritional value, catfish delicacies have become increasingly popular in Nigerian homes, restaurants and hotels. In recent times, the demand for it is a lot higher than catfish farmers can supply, so a small scale fish farm can provide you great wealth, you can expansion with growth experience. If you want to start small, you can setup a fishing pond right in your backyard, if you have buyers ready or know that you can easily sell your fish, make your fishing pond big enough to make enough production. Buy your supplies at wholesale prices. 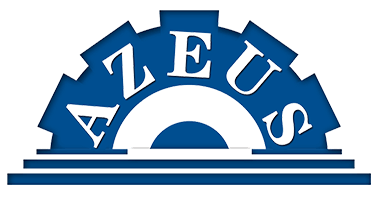 You can find wholesale fish supply stores online as well. 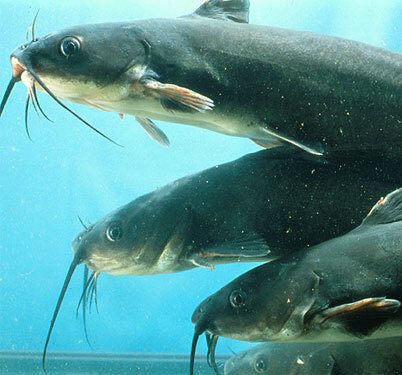 You can cultivate catfish breeding in tanks, cement pool, upper storage reservoir and cage, The final area should not be too big, the best is 100 ~ 500 square meters, the stocking density is 500 catfish fry per square meter, the same place should have the same species in case of individual differences killing of each other. When breeding for 15 ~ 20 days, body length is 3 ~ 5 cm, you can put them into the rice field or big pond even river and stream. First is the drainage device, catfish is known as freshwater animal. Poor quality water alone can kill your productivity. The best sources of water are borehole and river. Rain water and tap water from treated source is not good for your fish. What’s more, you`ll also need to check to be sure that your water is not acidic. Acidic water is bad for fish. To check this, you`ll need to buy a PH meter, read your water and see the acid level. Second, the most important, is the fish feed, your fish must be well feed. 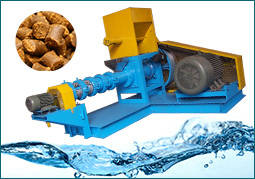 Your feeds should contain proper nutrients like lysine, arginine and methionine, you should make your own fish feed, which can give you safe and reliable feed, so fish feed making machines are much necessary, floating fish feed pellet production in Nigeria is very popular. 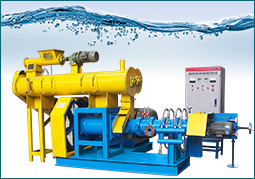 A 1-1.2 TPH fish feed plant is enough for small-scale fish farms. 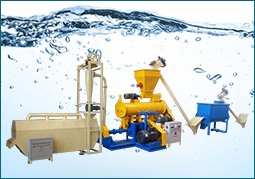 In the whole line, there is fish feed crusher, fish feed mixer, floating fish feed extruder machine etc. Some farmers use local meals to feed their fish.This idea may be good provided those meals contain the required nutrients your fish need. But you have to remember to increase your fish feeds as they grow, or else, you’ll underfeed them. Because feeding catfish mostly need to feed the animal feed, it is easy to cause deterioration of water quality, so you should try to keep the water fresh, change the water once or twice every week, each time replace 1/4 or 1/2 of the water, if it can maintain long-term micro water the effect will be better. During prevention and treatment of fish diseases, once every half month splash lime or bleaching powder full pool to disinfect, to prevent disease. You can also take a written management plan, record what you need to do every day, such as feeding, checking equipment, adjusting the water temperature and PH. After starting fish farm, you can also write what you have did, in order to gain experience and plan to how to expand your fish farm. Enayon Anthony is from a rural part of Delta state in Nigeria, 28 raises his stock with care. He buys fingerlings from a friend at a good price, feeds them nutritious commercial feed and regularly checks the quality of the water in his pond, which is connected to a river. If he determines that the pond’s water quality has declined or that the fish are not eating, he drains the pond and refills it with fresh water, which he treats to control bacteria. It takes six months for fingerlings to grow to the size where they can be harvested and sold, his primary customers are local women fishmongers, who sell the catfish in local markets. Another successful farmer is Francis V. Ero, a business manager for the county of Kern in California and lives in Bakersfield, he operates a 17-pond fish farm in Badagry, Nigeria. Maybe you will be the next successful one.